Sealed tenders clearly marked “2017 Landfill Perimeter Fencing” will be received at the Town of Osoyoos Municipal Offices, 8707 Main Street, Osoyoos, BC up to 2:00 p.m. local time on Thursday, August 3, 2017. Install approximately 1.0 km of 8 foot tall Paige wire fencing around the Northeast perimeter of the Osoyoos Sanitary Landfill. 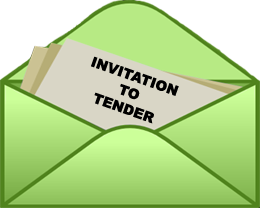 Tender Documents are available electronically by click on the link below and on BC Bid.